The most common quilt pattern is the patchwork quilt. This rustic version on the Earth Patch Valance brings together 7 neutral mini prints in large blocks with a pointed hem detail that adds just the right touch of charm. The most common quilt pattern is the patchwork quilt. 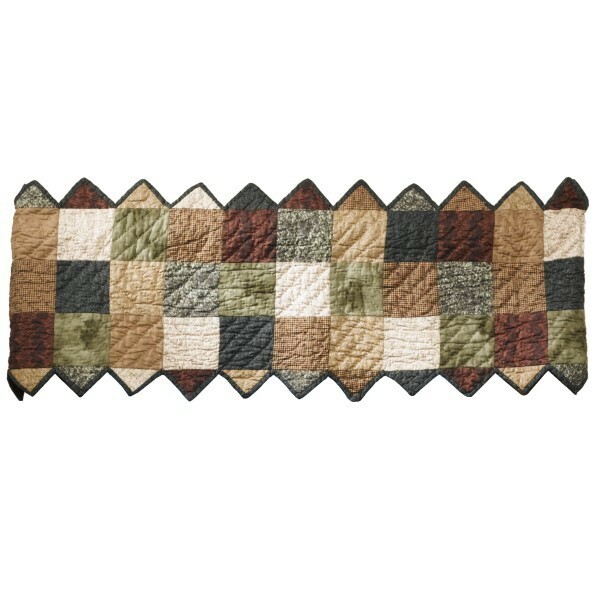 This rustic version on the Earth Patch Valance brings together 7 neutral mini prints in large blocks with a pointed hem detail that adds just the right touch of charm. Colors include shades of green, brown, gray and beige.